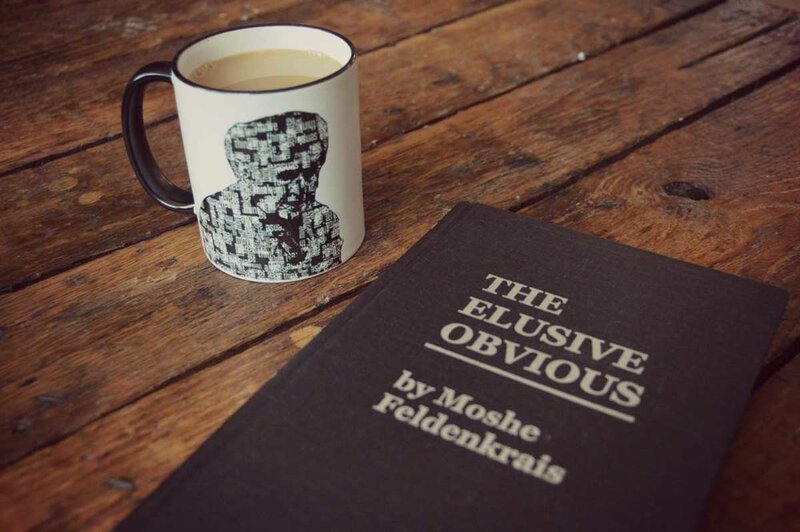 I LOVE reading The Elusive Obvious! The book is only available in Hardback format; which brings me a special kind of sensorial gratification. As I hold the book in my hands, I can feel the strength of the binding and the subtle texture beneath my fingertips. The simplicity of the firm black and white cover delights my minimalist spirit as the title begs me to delve into a koan-istic approach to moving and learning. As I flip through the dense and fibrous pages, I digest each word of somatic wonder. My mind starts to bend towards a deeper realization that this work, The Feldenkrais Method®, is so much more than movement. What we discover about ourselves can reverberate throughout our lives. Reading the above quote, I reflect on my own experiences doing Awareness Through Movement® as well as those that I've observed in others. I am reminded that learning is a gift of life, and one of the most powerful kinds of learning is that of knowing oneself. I love how the ways in which we work with ourselves during a class, begin to reverberate throughout our lives. For many it means moving more slowly, doing less, and sensing more! For most, this is something new. For others, it means moving more — moving with more variety, moving with more grace, and moving with more spontaneity. It means tapping back into one’s inner compulsion to move when there’s been too much stillness, and honoring the cues to rest when there’s been too much action. It means getting back to knowing one’s self and trusting the cues we receive from our internal landscapes. How we move can bring us pain or pleasure. How we move can help us to satiate our more primitive needs like eating and procreating. But how we move can also bring us more into the moment and deeper into our experiences of ourselves and our world. How we engage with ourselves impacts how we engage with others. Now to be forthright, I’ll admit that I am bringing all of my past experience and interests into my Feldenkrais practice — personally and professionally. Long before I became a Feldenkrais Practitioner®, I began meditating. What really enticed me about the Feldenkrais Method® was that it seemed to be an expression of meditation in motion. To be clear, I mean more than simply sitting on the cushion, just as I mean more than movement. These forms of practice offer direct ways to understand how we, as individuals, engage with life. One thing that has become abundantly clear, is that continuing to explore Awareness Through Movement® can help us to embody the principle of Non-Judgement while refining our ability to discern — our sensations, what feels right for us, and the delicious subtleties of each engagement with life. As our judgement decreases and our discernment grows, we become more curious. This curiosity seems to soften our edges somehow. Before we know it, our relationships change and a general sense of freedom begins to permeate our lives. Before my meditation and Feldenkrais® practices, I often found myself doing things I didn’t want to do, just out of habit. Even if I wanted to change, I couldn’t figure out how to do it easily. In fact, and I hate to admit it, in my twenties a big part of “personal development” was the game of “Find what’s wrong with yourself and fix it” repeated over and over again. That perspective was damning for two reasons. First, personal growth felt like a struggle. Frankly, I am sure that my belief at the time was “if it isn’t hard, it isn’t worth it" ...or some b.s. like that. Second, this perspective sets the stage for always looking for what isn’t working. YUCK! And perhaps at a more subtle level, viewing growth through this lens was an extension of a deep-seeded belief that I was somehow broken. OUCH! Fast forward through several years of Meditation and Feldenkrais® explorations and something big shifted. I WAS NO LONGER CHASING THE FIX. I no longer looked for what wasn’t working, but instead celebrated what was working and started seeing the brilliance in all that I did — even honoring those pesky ‘bad habits‘ as strategies that served me well at some point in time. More than that, I started to see myself as whole and no longer broken. I am not sure exactly when this change happened. I imagine it was more of a gradual change over time…but a BIG change nonetheless. So, I hope that you'll join me on this journey of exploring all that the Feldenkrais Method® has to offer and to the process of finding yourself in motion. When the vertebrae and muscles in your spine are free to move, then you have the ability to engage the world with power and grace. You can more easily move in any direction with minimal preparation and hesitation — the cornerstones to good posture.